Disasters come at any time, day or night, weekends and holidays, and there’s no way to prepare for every kind of damage they can cause. Even though you can’t accurately predict them, or their destructive power, you can control their aftermath. Mold, water, fire, and storms happen every day and it’s important to start the remediation process quickly so the damage they cause doesn’t become permanent. Waiting doesn’t make it go away; it only makes the devastation worse, more expensive, and longer to repair. ServiceMaster Restoration & Cleaning has been providing the homes and businesses in Splendora, TX with high-quality disaster restoration services since 1992. All of our technicians are trained and IICRC certified to offer top quality restoration services that meet the exacting requirements set by the ServiceMaster Restore Quality Restoration Vendor Program. At ServiceMaster Restoration & Cleaning, the top of the line products and equipment we use guarantee that we’re providing only the best restoration services to our clients. We can manage restoration projects of all sizes and we help the Splendora, TX community in times of need by providing area-wide disaster restoration. This dedication to exceptional customer service and superior results has earned us the Angie’s List Super Service Award. We’re also a 3-time winner of the Better Business Bureau’s Award of Excellence. Water damage cleanup. Water is the leading cause of damage in homes and businesses because it comes from so many different sources. 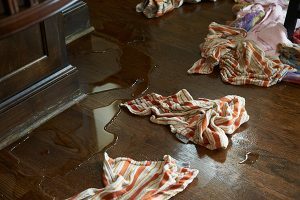 It causes considerable damage, no matter whether it comes from a sewage backup, a flash flood, or an overflowing bathtub. Water is easily absorbed into porous household elements like furniture, insulation, and wood, which helps it spread further through the building. The water damages these items as it goes, causing them to split, warp, rot, and discolor. Without prompt remediation, these items and the rest of the contents of your home or business may be ruined for good. ServiceMaster Restoration & Cleaning can remove excess water and dry the area before damage becomes permanent and before mold can begin to grow. Mold remediation. Mold must always be taken seriously because it poses a risk to both health and property. It spreads quickly because the spores are always present in the air, and they feed on common household food sources like paper and drywall. All they need to grow is a source of moisture, which is why mold begins to grow only a few days after a water leak. Once mold starts to grow, it spreads quickly and if it gets into a hidden area like inside a wall, it can spread undetected throughout the building. ServiceMaster Restoration & Cleaning is licensed by the State of Texas to provide comprehensive mold remediation to both homes and businesses. We use state of the art equipment to find all traces of mold, even in hidden places, and we remove all traces of it safely and effectively. Fire restoration. Fires are dangerous and you should never try to handle one on your own, or try to save items. Evacuate people from the building and call 911 from somewhere nearby. You may think that the damage is over once the flames are out, but it continues to occur until remediation begins. Fumes from burning synthetics, soot, smoke, and firefighting chemicals will etch and tarnish surfaces, causing destruction that will be permanent unless you call ServiceMaster Restoration & Cleaning. Our highly trained professionals can clean and restore items that were damaged by the fire, as well as rebuild any structural elements. Smoke and odor removal. Bad smells come from many different sources and contribute to a poor first impression of your home or business. For some businesses, like restaurants, a bad smelling carpet can ruin the company. Whether the odor comes from a sewage backup, pet accident, fire, flood, or other source, ServiceMaster Restoration & Cleaning can clean and remove even the worst smells. Our technicians use the most effective products and equipment available to the industry to guarantee that your home or business smells fresh and clean. If your home or business in Splendora, TX has suffered any kind of disaster damage, call the highly trained experts at ServiceMaster Restoration & Cleaning. We’ll be on the scene quickly to evaluate the situation, contain the damage, and begin the restoration process. We work with your insurance company to make the process as easy as possible. Call ServiceMaster Restoration & Cleaning 24 hours a day, 7 days a week at (800) 303-5844 for high quality disaster restoration services.